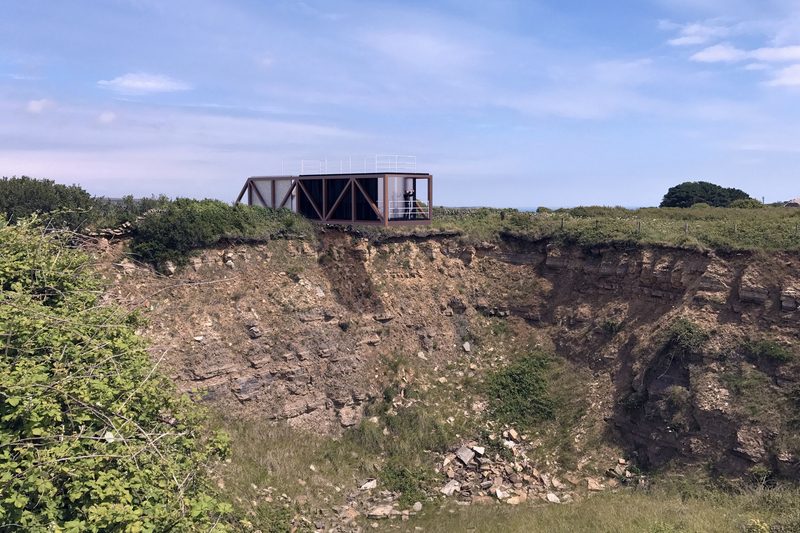 Following the success of our Woodman’s Treehouse, BEaM was appointed by the National Trust to develop some fresh ideas for guest accommodation at a number of sites from the Trust’s portfolio within the Purbeck National Park in Dorset. The various proposals developed respond specifically to characteristics and topography from each special location. One site was a stone quarry on the cliffs above Dancing Ledge, a dramatic coastal feature forming part of the Jurassic Coast. 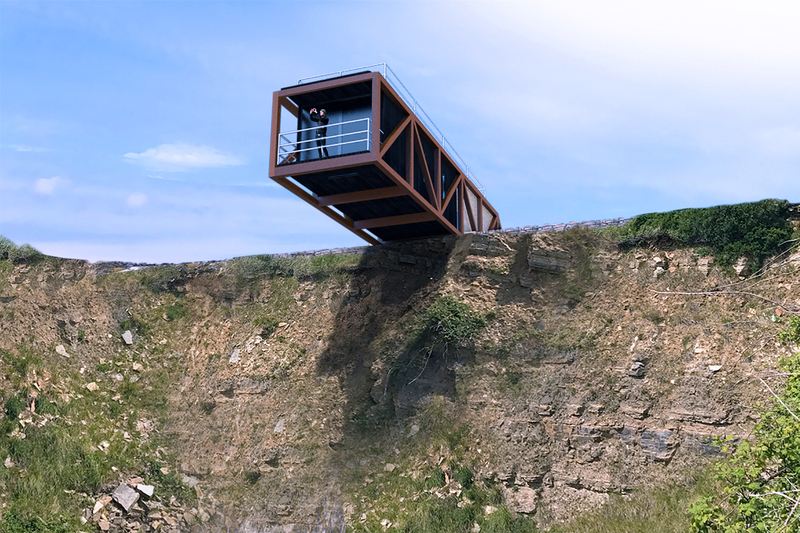 BEaM proposed a lodge, cantilevered high above the quarry pit, contained within a weathering steel truss structure. Mass gabions, formed from rock collected locally from the historic works, provide a counterweight to the living accommodation which is poised in space above the void. The elevated location provides the lodge with spectacular panoramic views across the coastal landscape.